Making the decision to get pregnant is an exciting time in your life. However, when you don't become pregnant right away, it can be a humbling and frightening experience. Your physician may recommend that you and your spouse get tested for infertility. If infertility is an issue, there are medications you can take. There is also natural ways to boost your fertility, including a variety of herbs you can try. Including chasteberry supplements or chasteberry tea in your diet may increase your chances of getting pregnant. An article on iParenting notes that chasteberry can stimulate the pituitary gland to release luteinizing hormone. This hormone promotes ovulation and helps balance progesterone, a hormone that can contribute toward fertility problems when your body isn't producing the right amount. Research published in the April 2004 "Journal of Reproductive Medicine" reports that women who took fertility supplements containing chasteberry had a better chance of conceiving. The BabyCenter website notes that you should stop taking chasteberry when you do become pregnant since this herb encourages menstrual bleeding. Black cohosh may help you get pregnant. The BabyCenter website indicates that taking this herb can stimulate egg production, and the National Institutes of Health Office of Dietary Supplements reports that it has long been used as an herbal remedy for infertility. No scientific data exists to confirm black cohosh's effectiveness for improving your chance of getting pregnant. The University of Maryland Medical Center recommends a dosage of 40 to 80mg per day for other studied medicinal purposes, but notes you should stop taking black cohosh immediately when you get pregnant because this herb encourages uterine contractions, which can result in miscarriage. Be sure to include raspberry leaf in your daily diet. This herbal supplement can help you get pregnant by strengthening the lining of your uterus, according to the BabyHopes website. There is no published scientific research to support this claim. 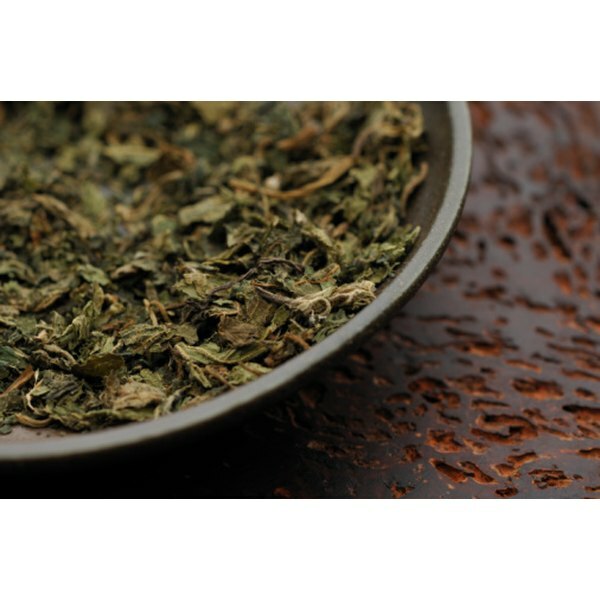 Drugs.com notes that a typical dosage of raspberry leaf as a tea as 1.5 to 2.4g per day. You may consider avoiding raspberry leaf when you successfully get pregnant, however. The American Pregnancy Association reports that many herbalists do not recommend raspberry leaf after the first trimester due to safety concerns, and research published in the June 2009 issue of "Reproductive Sciences" indicates that taking raspberry leaf while you're pregnant may cause long-term health problems for your baby.